Lacoste is steeped with enviable history, it's this history and our total understanding of their retail requirements that has formed the foundations for the contemporary brand you will find on the High Street today. 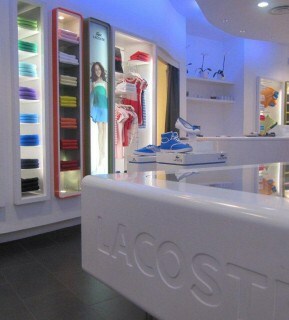 We have played a crucial role in developing the footwear areas in Lacoste boutiques in and around the UK as well as part of the European roll-out programmes. 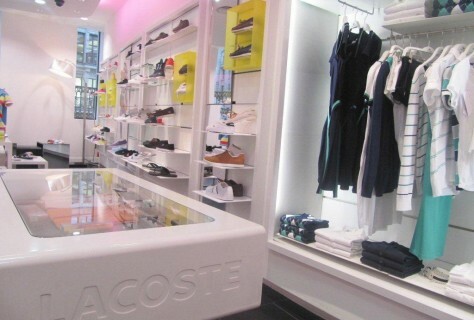 The brief was simple; increase sales of Lacoste footwear by creating product stand out whilst aligning to the look and feel of the rest of the store.